Solutions offices are designed to protect privacy in a professional, therapeutic environment. Walls are constructed with extra sound proofing and the doors are hermetically sealed and designed to close and open with virtually no sound. A white noise system and custom designed background lighting create soothing colors fostering a calm working atmosphere for both practitioner and client. -Both floors have separate, private entranceways, a waiting room, kitchen, bathroom and six offices ranging from 120-190 sq. ft.
-A Conference room for group therapy is available upon request. -First floor offices are handicapped accessible with an additional bathroom that meets ADA requirements and a staff kitchen. -Included are utilities, Wi-Fi, fax, copier and scanning accessibility. -Flexible arrangements support your space needs whether it is for one day, a full week or anything in between. -Exits and entrances have electronic locks with client privacy and safety in mind as well as carefully planned walk-flow design. 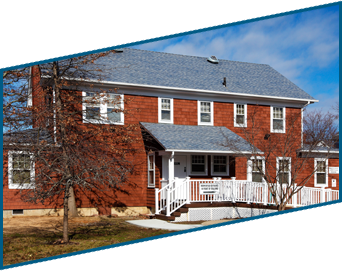 -Solutions’ renovated historic site is conveniently located in the heart of Riverhead’s historic district, with ample parking and accessibility.